1. 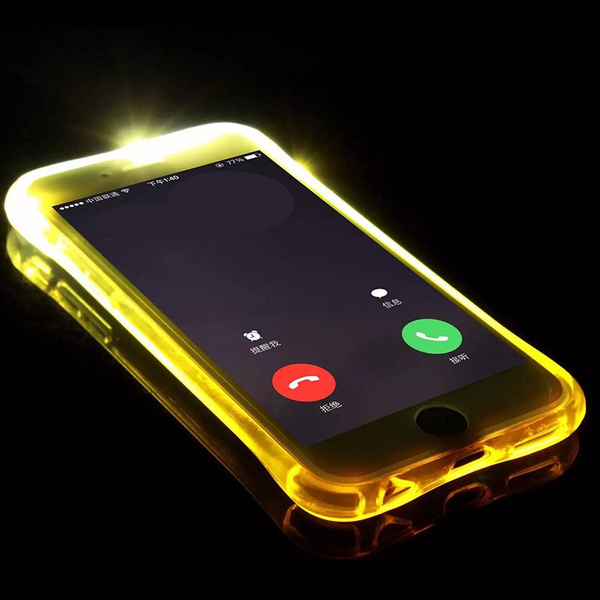 Specially formulated for iPhone. 2. Popular, simple and form-fitting design. 3. 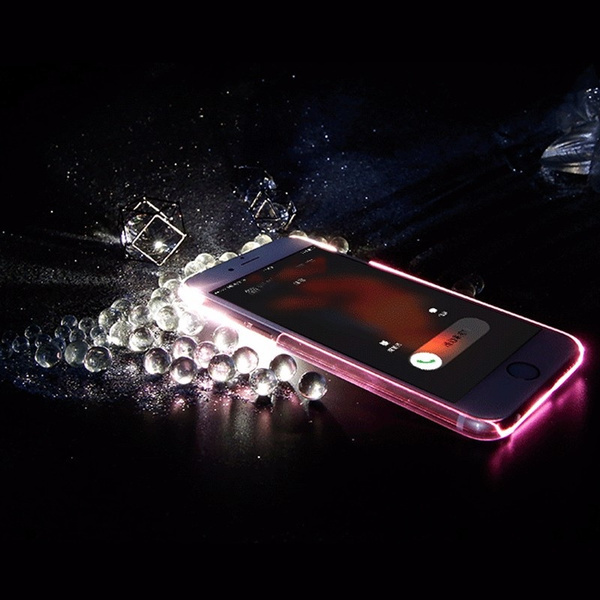 Soft and comfortable touch, easy to grip, light weight and slim. 4. 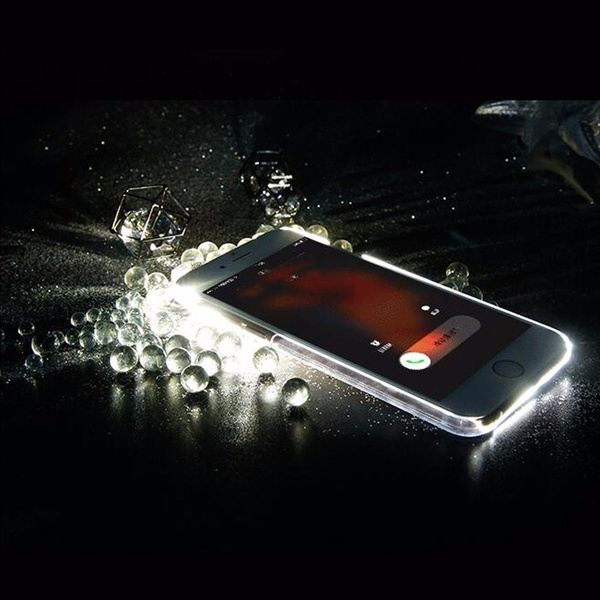 Protect Your iPhone Against Dust, Scratch, Impact and other unwanted damages. 5. Allow full access to controls and ports. 6. 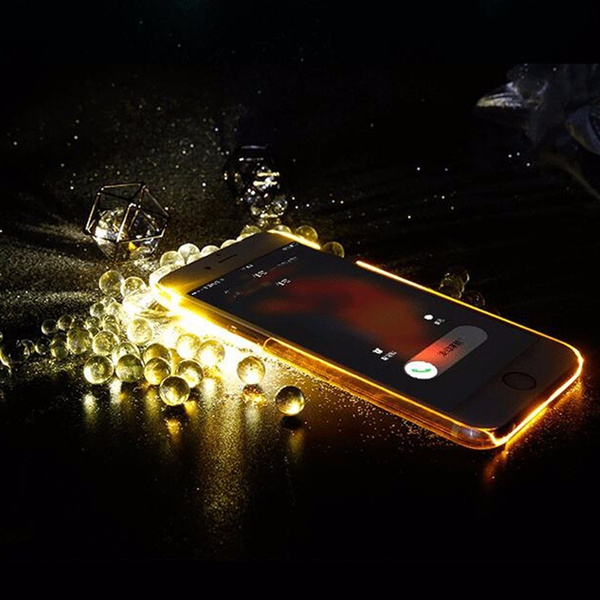 Oleophobic coating, sensitive and delicate touch. 7. Easy to install and remove. 8. 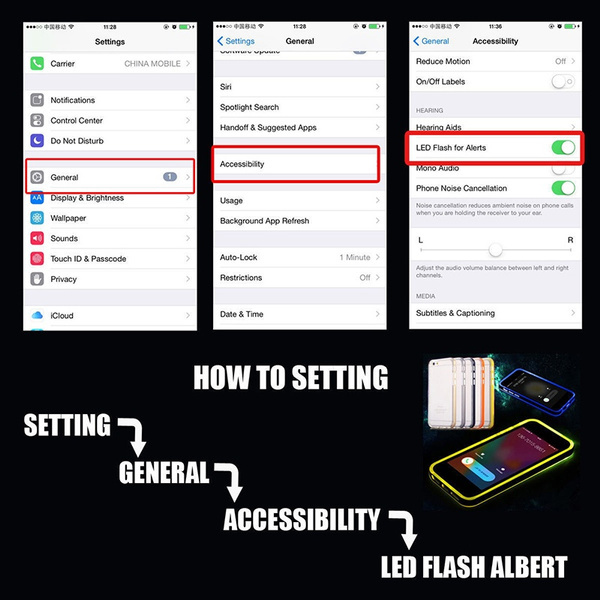 Setting: [LED flashing remind settings]: go to "Settings"> "generic" > "Accessibility"> "LED flashes to show reminder"
1. 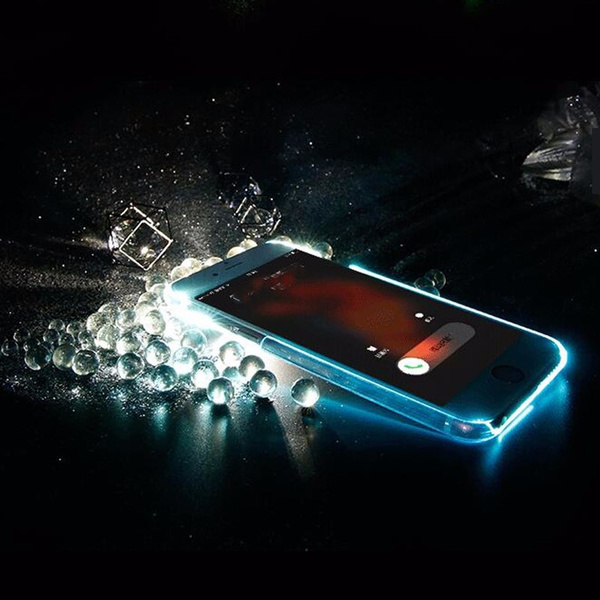 The case CAN NOT light up by itself, the light is come from the LED light and flashing of your phone and colored rim! 2. 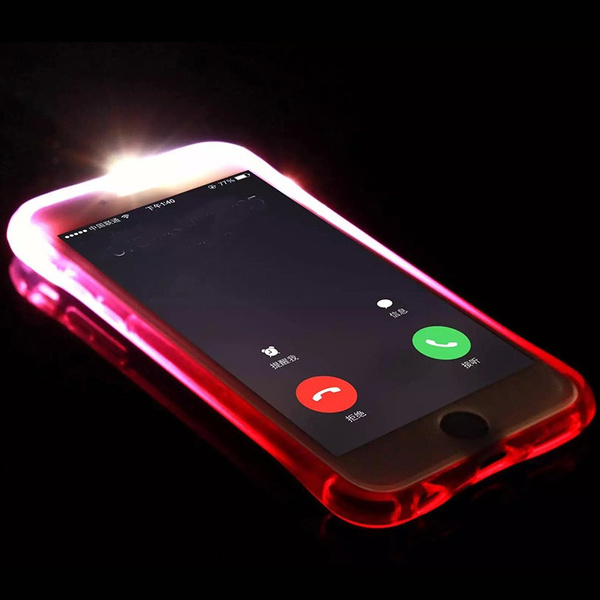 The color effect of the shell is depended on the background, for example, if you put your iPhone in a red table,the case will present red light when you have an incoming call. 3. The color you choose is the bumper color, NOT the light color ! 4. 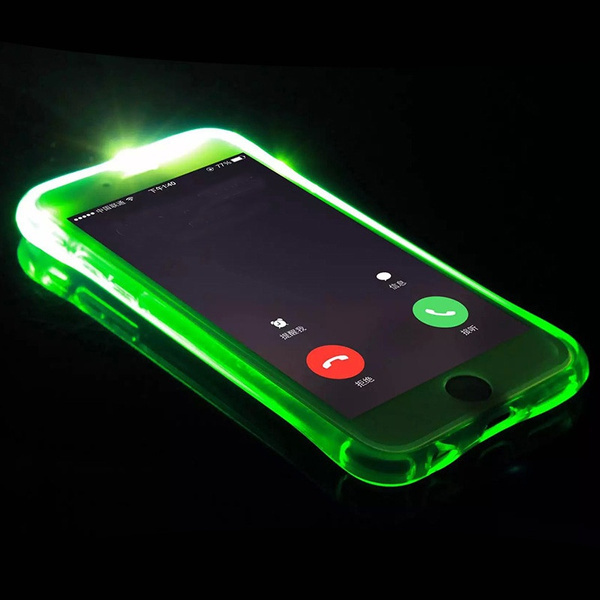 You need to set a LED flashing reminding, and then the case will flicker when you has an incoming call (only in sleep state ). 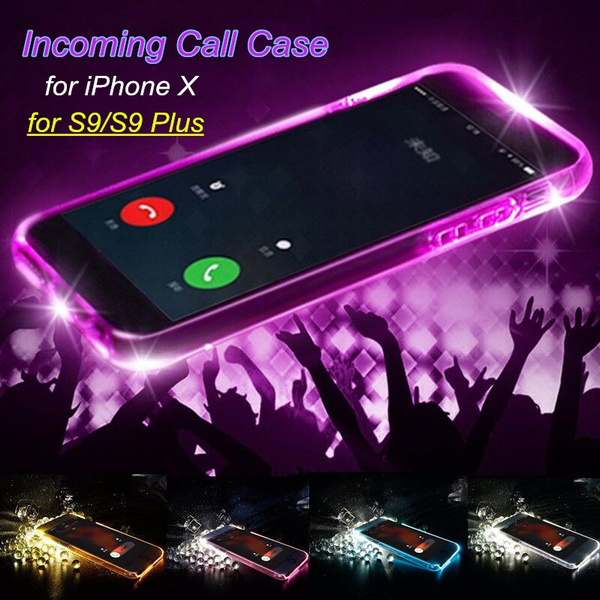 Case is made of durable but flexible clear gel with plastic inlay of metallic blue. Lights up nicely when the 6s+ rings. Fits and functions well! It doesn't even light up . Does not work . Leichter nicht, und total billig gemacht. Não ilumina como o descrito.